China’s place on the world stage is of increasing interest to the United States. Its emergence as a global economic power and position as the second-largest trading partner to the U.S. mark its significance as a leading world player. Controversies surrounding the country’s human rights, the rapid pace of its economic reforms, and its potential as a rising superpower have brought the country into sharper focus. Yet China remains an enigma to many in the U.S. There is little knowledge of the country’s history, and even less regarding the history of its women. The story of Qiu Jin and the women’s emancipation movement in China, for example, are relatively unknown in the U.S. As China emerges as a prominent player on the global stage, it becomes crucial to understand its recent past and the often-neglected role of its women. At the beginning of the twentieth century, China underwent a series of dramatic social and political changes. It saw an end to the dynasty system that had ruled for thousands of years and an emergence of a new republican form of government. Also during this period, for the first time in the country’s history, small but vocal groups of women rose up and demanded equal rights and opportunities. Qiu Jin was a seminal leader in both the revolutionary movement and the struggle for women’s emancipation. An impassioned writer, orator, and educator, she dedicated herself to the fight for women’s equality and the struggle to free the country from imperialism. At a time when physical activity for women was discouraged and even prevented by practices such as footbinding and domestic confinement, Qiu encouraged women to participate in exercise as a step toward achieving equality with men. In addition to strengthening their bodies, she urged women to train their minds through formal education, a privilege traditionally reserved for men. Women who were educated could then work toward achieving political rights as citizens. Qiu Jin’s radical ideology eventually led to her involvement in an attempted armed uprising against the government. She was accused of treason and executed at the age of thirty-two, becoming the first female martyr for the revolutionary cause. Qiu Jin is celebrated as a national heroine in China today. 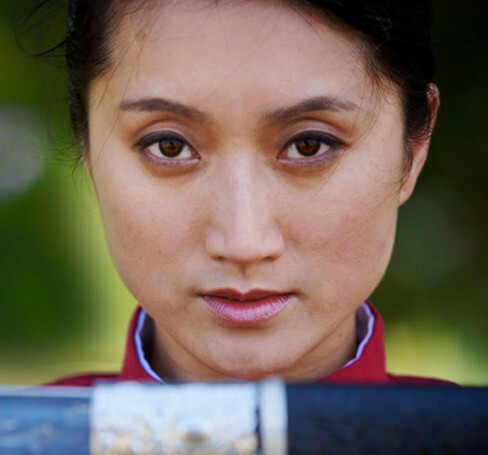 She is the subject of several books, plays, and films in China, and memorialized in an official monument and museum. Previous productions made in Hong Kong and China include two feature-length films, “Qiu Jin, the Revolutionary Heroine” (1953) and “Qiu Jin: A Revolutionary” (1984), and a television series, “Qiu Jin: A Woman to Remember” (1984). These are geared toward a Chinese-speaking audience, with dialogue and subtitles in Chinese. 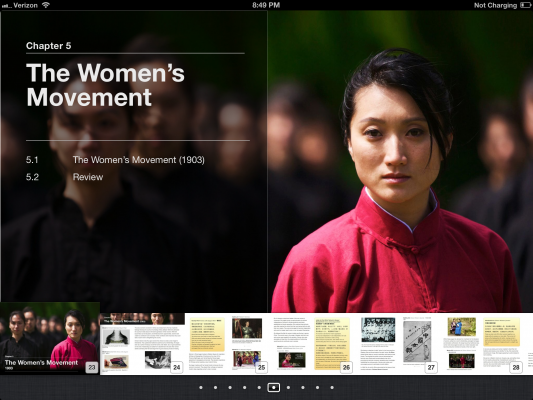 Recent documentaries produced in the U.S. have addressed the subject of the women’s movement in China. The PBS series “China from the Inside” (2006) includes a 60-minute episode “Women of the Country,” which explores contemporary issues facing Chinese women and features the work of several current women activists. The hour-long video documentary “Through Chinese Women’s Eyes (1997) profiles the women’s movement from the period of Mao Zedong (1950’s) to the present, using current television footage, archival material, and interviews. Qiu Jin’s time period is covered in “The Great Step Forward: China Women in the 20th Century – From Confucius to Mao” (2004). The hour-long program examines the developments in the women’s rights movement from the end of the 19th to the mid-20th century. It uses archival photographs and film footage combined with interviews with older women in their 80’s and 90’s recalling their past experiences. There is a brief segment (about 30 seconds) on Qiu Jin’s role in the movement.